The iconic-on-Instagram Realisation Par collection of flirty, French-"it-girl"-approved dresses and shirts definitely has a certain correlation with the following pieces. I found these across the web on various fast-fashion retailers (the blue Zara piece at least offers the novelty of the skort or jumpsuit bottom). Realisation might also have a plethora of previous inspirations, I'm unaware of any designer or label being 100% independent from outside influence, but thus is the nature of the beast - I do think this label in particular has had an overall effect on the trends for this spring / summer. Key features: ruffled edges, short length, floral or polka-dot fabric. It is interesting, for me at least, to note the ways in which fashion trickles down and webs out, inspiring certain patterns and cuts which are then purchased by people who might not be aware of the inspiration. Does anyone else remember that scene in The Devil Wears Prada where Miranda Priestly explains to Andy how that works every season whether the fast-fashion buyer is aware of it or not? But I digress. It's a cool phenomenon, non? 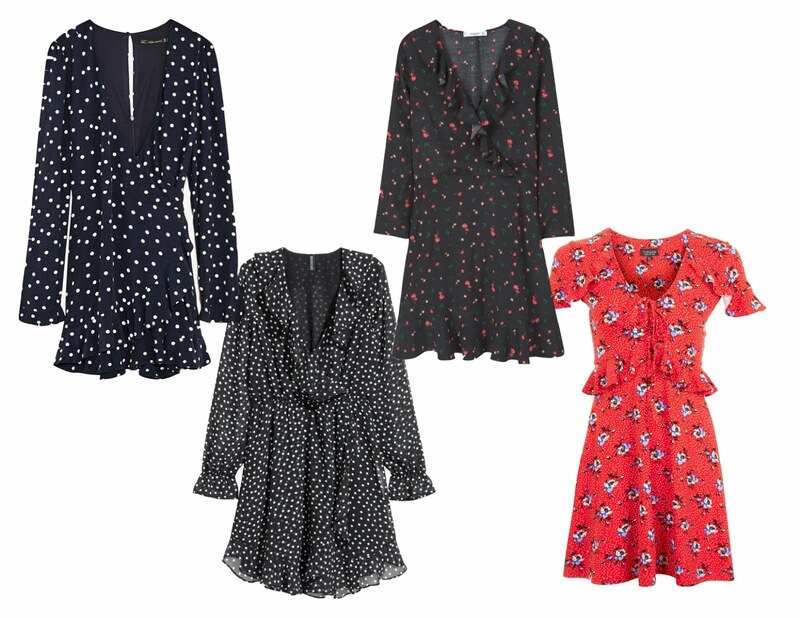 There are also certainly a lot more than these available - check out Topshop's tea-dress and blouse section - truly, pick your favorite store and they'll probably have at least one!